This guide walks through the process of using a custom-designed form (aka Report) for equipment inspections. It is a continuation from the Setting Up Equipment and Inspections guide. Let's say that we'd like more detailed for this inspection. For example, let's have them rate the tires, bumper, frame, etc. To do this, we will create a report within the "Report" module. Check the "Hidden?" box. 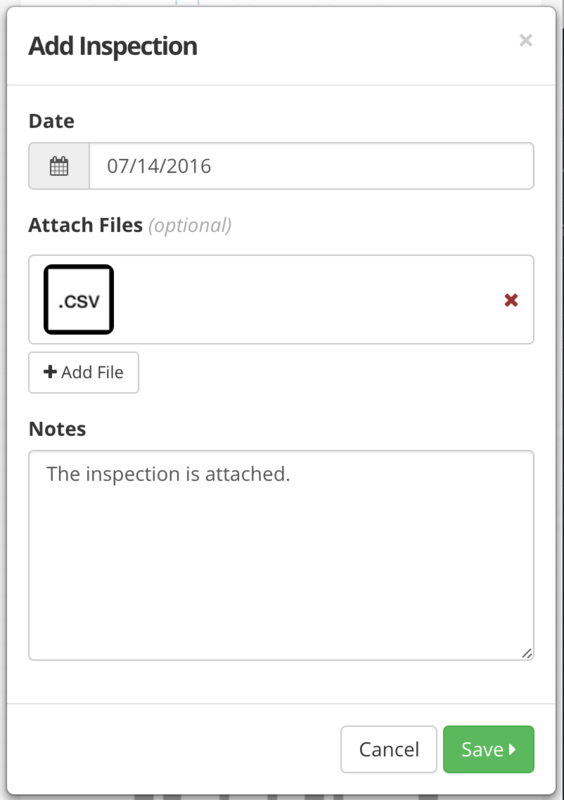 We only want this form to be accessible when filling out an inspection for a truck. Now add the required equipment field. As mentioned, this is the only field that you are required to have on an inspection form. 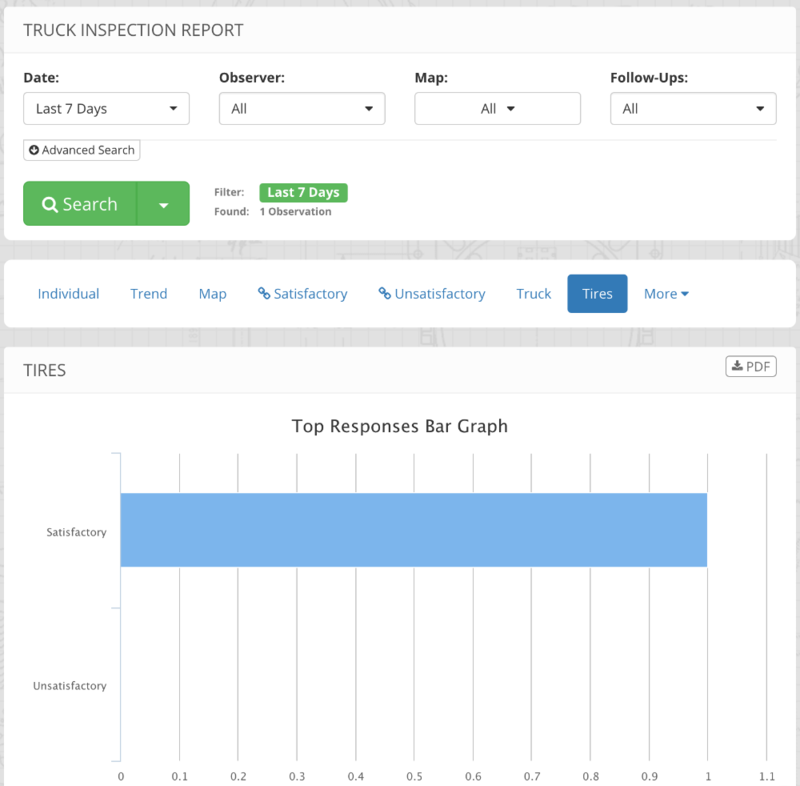 We'll call them "Tires", "Wheels", and "Frame"
Give the options of "Satisfactory" or "Unsatisfactory"
Now that you have created the "Truck Inspection Report", we'll setup the Trucks in our system to use this for the inspection form. Click "Edit" for the "10K Miles Inspection"
Now when you view one of your trucks, you'll see an "Inspect" button. Click it and the site will show your form and the "Truck" field will be pre-filled. Once you complete the form, the inspection will be attached to your truck.